The new EDR3RXD1 EveryDrop Whirlpool Ice and Refrigerator Water Filter 3 (6-Pack) is an alternative to the Whirlpool 4396841, 4396710, and W10193691. The EDR3RXD1 reduces 66 contaminants, which is 50 more than the previous model, and includes pharmaceuticals, pesticides, waterborne parasites, metals, minerals, industrial chemicals, chlorine taste, odor, and more! Now outfitted in a logical package design with bolder colors and more intuitive model numbers, Whirlpool is committed to getting you the best and correct filter for your refrigerator in the easiest way possible. 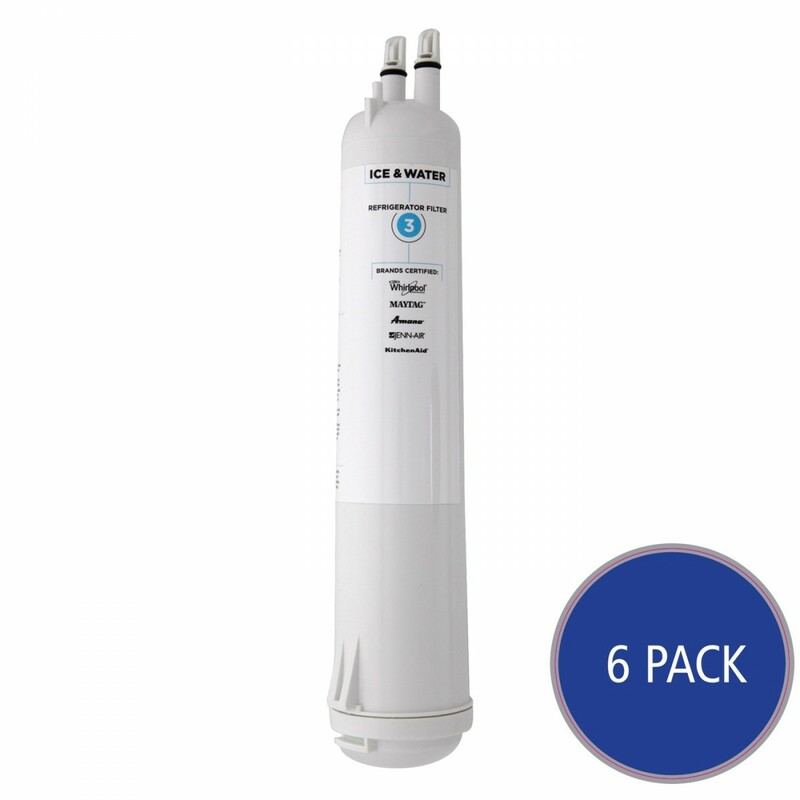 Order the EveryDrop Whirlpool EDR3RXD1 (Filter 3) Ice and Water Refrigerator Filter (6-Pack) today!